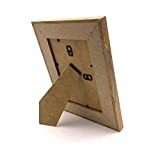 A lovely wooden frame to display that all important or memorable photo of a baby scan. The frame has a oak wood finish with the engraving of "Mother's day this year will be in mummy's belly" while underneath you have "Next year it will be in your arms...Love Bump". 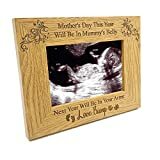 Mothers Day Gift For Mum To Be Wooden Baby Scan Photo Frame A lovely wooden frame to display that all important or memorable photo of a baby scan. 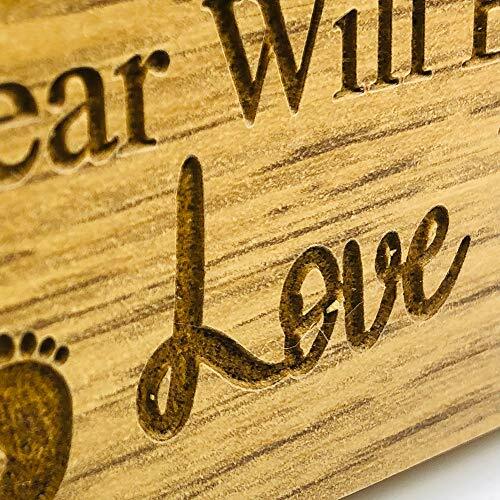 The frame has a oak wood finish with the engraving of "Mother's day this year will be in mummy's belly" while underneath you have "Next year it will be in your arms...Love Bump". There is a stand at the rear so will sit flat on any surface.